This entry was posted in Uncategorized and tagged Light Rail, Streetcar. Some have expressed hesitancy over the Cincinnati Streetcar saying it needs to be part of a larger, comprehensive transit plan for the region. Fortunately, Streetcars are included as part of our region’s long range transportation planning goals. 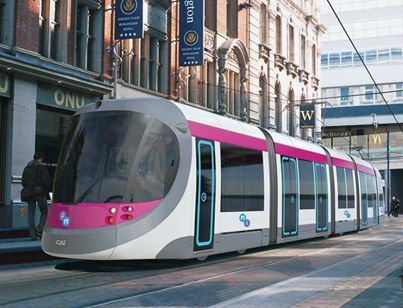 The Cincinnati Streetcar will connect Uptown with Downtown, Light and Commuter Rail, Union Terminal, and major bus hubs in Corryville, Walnut Hills, and Government Square. 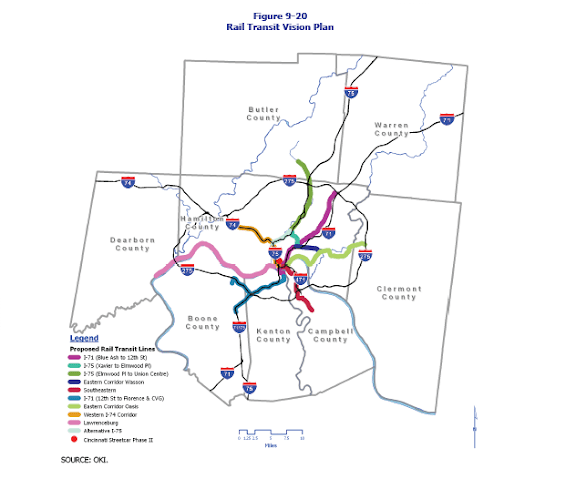 The next two maps can be found in Ohio Kentucky Indiana Regional Council of Government’s 2030 Regional Transportation Plan. 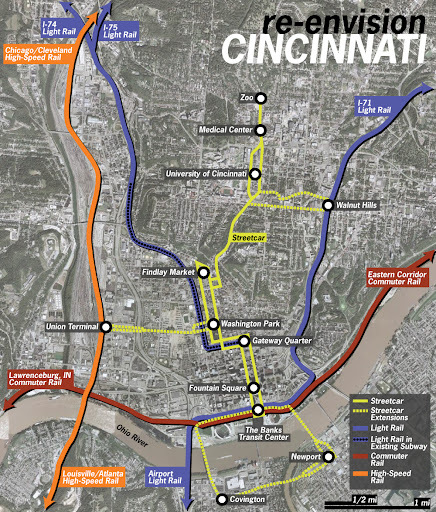 As these maps illustrate, the region has a long range transit plan and the Cincinnati Streetcar is an important part of making it a success. Support Improved Regional Transportation–Support the Streetcar. 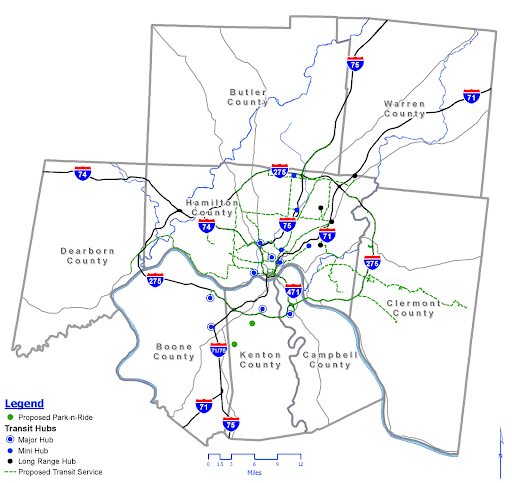 This entry was posted in Uncategorized and tagged Cincinnati, Infrastructure, Light Rail, Operations, Streetcar.